Q. A cleaner that is suitable for cleaning food contact surfaces is required. 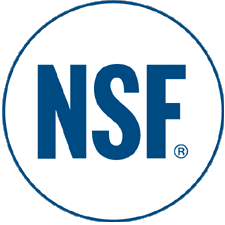 A. NSF International maintains lists of USDA (United States Department of Agriculture) authorized cleaners in the non-food product listings. Please download this memo for verification. The following cleaners are authorized for use as general purpose food contact surface cleaners followed by potable water rinse in USDA inspected food plants. Alconox, Liquinox, Tergazyme, Alcojet, Alcotabs, and Detojet are category A1 general-purpose cleaners and Citranox is a category A3 acid cleaner. To learn more about How to Clean your food prep equipment, Cleaning Principles and other information, visit http://alconoxfoodservice.com.